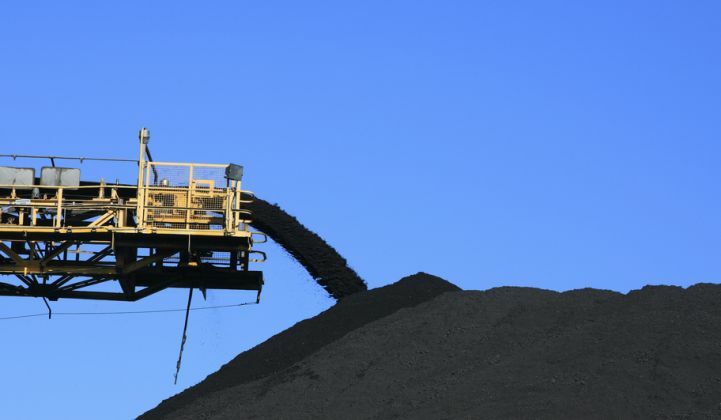 The latest UT Austin Energy Poll finds a soft spot for the coal industry, even as most people accept that climate change is happening. America's relationship with coal isn't over yet. The coal industry has been in decline for several decades now, with just over 50,000 coal miners employed as of March. 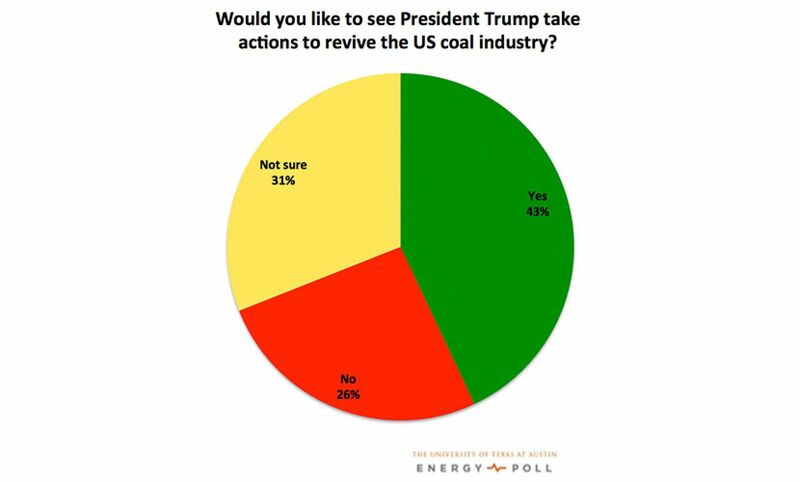 But 43 percent of Americans want President Trump to "take actions to revive the U.S. coal industry," according to a national poll conducted by the University of Texas at Austin. And 64 percent think Trump has the power to affect the industry -- an increase of 9 percent from six months ago. This finding would seem to contradict a series of recent polls that found strong bipartisan support for renewable energy and weaker support for coal itself. Republican pollsters in North Carolina found that 83.2 percent of voters there would support a candidate who seeks to expand renewables; that position drew supermajority support from Republicans and Trump voters specifically. A different Republican firm a few months ago found that 75 percent of Trump voters support "action to accelerate the deployment and use of clean energy." Note, though, that this new data is coming from an energy research institute, not some group predisposed to favor coal. Here's how the university framed the data in its announcement: "These findings reflect a disconnect between energy market conditions, which show a steady decline in the use of coal for electricity generation, and statements made by Trump, who has pledged to revitalize the coal industry and create coal-mining jobs." On closer inspection, the plurality of support for coal fits within the public opinion trends we've been seeing -- it's all a matter of framing. For many voters, the support for both kinds of energy is a matter of supporting good domestic jobs, rather than an intricate evaluation of the nation's energy mix. The degree of support for saving coal falls sharply along party lines: 64 percent of Republicans and 32 percent of Democrats want Trump to revive the coal industry. That shakes out to 43 percent overall. Similarly, the North Carolina poll found that 49.3 percent of respondents would favor a candidate who advocated greater development of "fossil fuel energy such as oil and coal." That number includes 76.4 percent of Republican voters and just 36.1 percent of Democrats. Fossil fuels like coal split the electorate and did not earn majority support, whereas clean energy drew massive margins from both parties and independents. It is impressive that the coal industry can employ so few people nationwide and still rally 43 percent of the public to defend it. What's more impressive, though, is the number who think Trump is capable of restoring the industry's fortunes. Trump's efforts to undo Barack Obama's climate-change agenda and strip away environmental regulations make for effective political optics. But they fail to address stiff competition from cheap American natural gas and renewables. Nor has Trump taken a swing at the forces of industrial automation which drive coal companies to rely more on sophisticated machinery and less on human sweat. In another quirk in the poll, 75 percent of Americans think climate change is happening, but more people now think it is caused by natural forces than they did a year ago. That number has quadrupled from 5 percent to 20 percent. The essential facts of climate change and American energy economics haven't changed in the last few months. We don't know for sure what's causing the shift in public perceptions about the origins of climate change or the president's ability to resuscitate a declining fuel source, but it looks like Trump's messaging is having an impact.